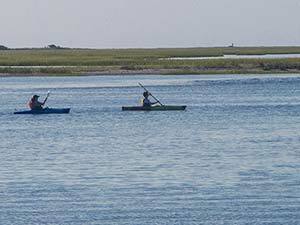 Enjoy three well-marked paddle trails, ranging from 200 yards to more than six miles. 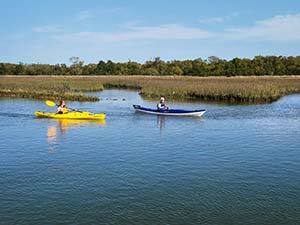 While Hammocks Beach State Park doesn't have designated walking trails, the beach is always available for hikes. Point of Interest: Ocean, tidal pools, mudflats, salt marshes, dunes. The trail circles Huggins Island.